In “Sports Psychology Sessions with Doc,” Dr. Patrick Cohn answers a question from Kay about what she can do when her son freezes because the coach is really intense. 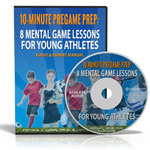 Does your young athlete freeze on the field because the coach is really intense? Intense coaches can be coaches that yell, talk to players after mistakes, yell after mistakes or bench kids after mistakes. Typically intense coaches are those that bull kids and get away with it. Your athlete is freezing on the field due to fear of making mistakes and is losing confidence. As a parent, you can help your child learn how to deal with the coaches behavior and how to let go of mistakes. 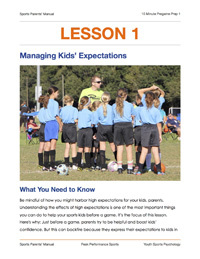 Watch the video below to learn what Dr. Cohn says you can do as a sports parent to help your athlete let go of mistakes and stop worrying about what the coach is going to do.